As the name simplenZAR implicates, this thing should be very simple, but with all the cables it it is not very useful. So I decided to take this a bit further and expand my knowledge a bit. I decided to build a shield to fit the Arduino, so I could get rid of all the cables. For the PCB I started with Eagle Cad, but found that I could do it faster on my own with Illustrator. 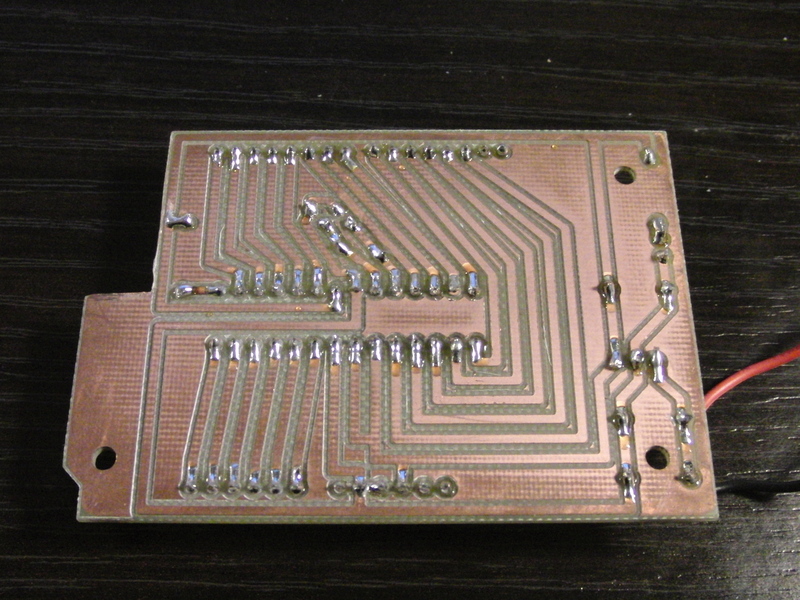 After an evening of pushing traces around I came up with a quite simple pcb that I could route an my mill. This is the result. 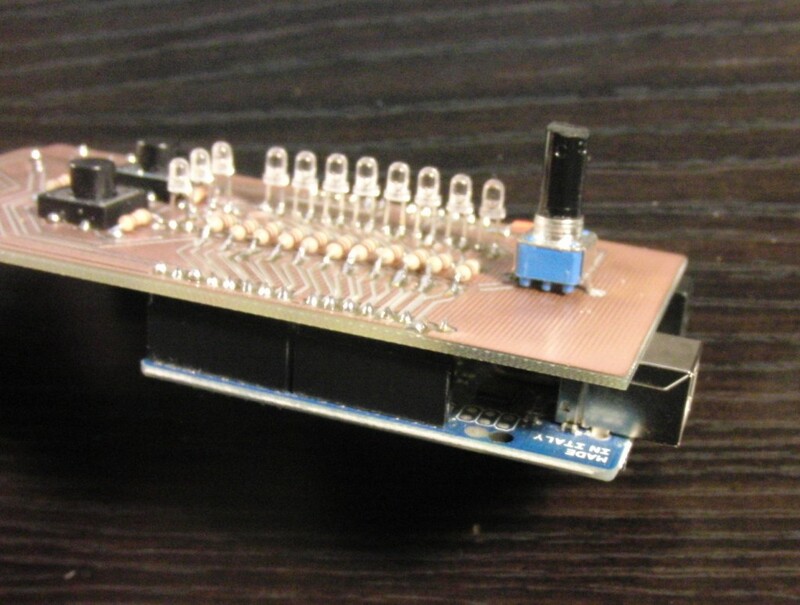 It fits on the Arduino and works very well. 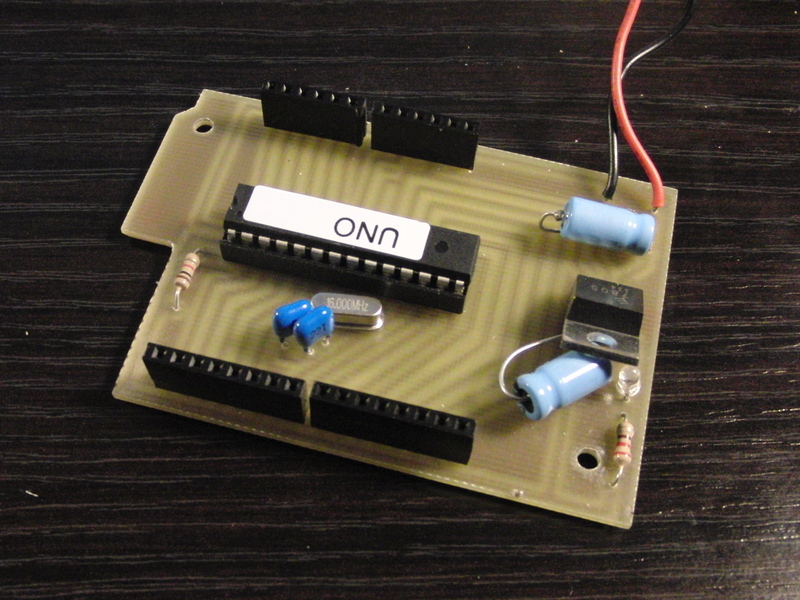 But, I wanted to be able to do more projects with my Arduino, so I decided to build a very basic one that I can use for my simplenZAR-shield. 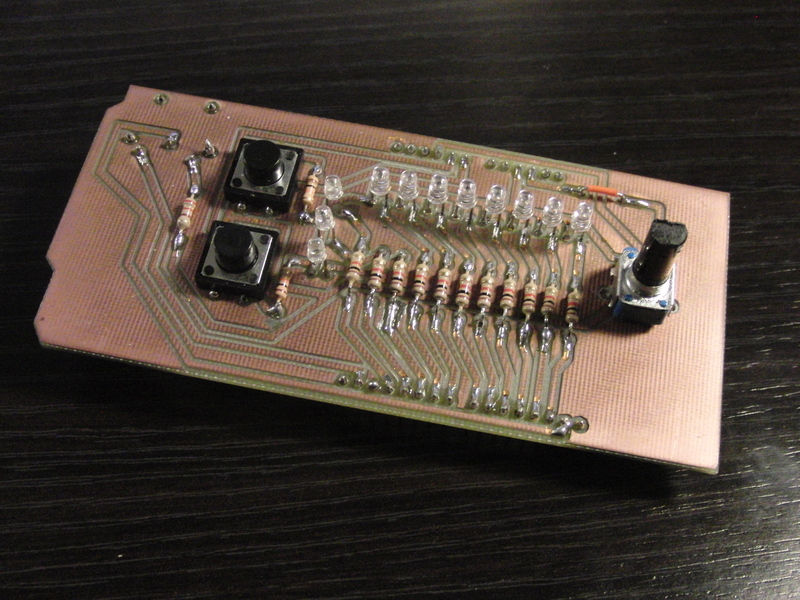 Again, after one evening of drawing in Illustrator I came up with a rudimentary Arduino clone. Without Serial connection. I just put on the programmed chip. Here is the result. Next was an enclosure to keep everything together and include a power supply. 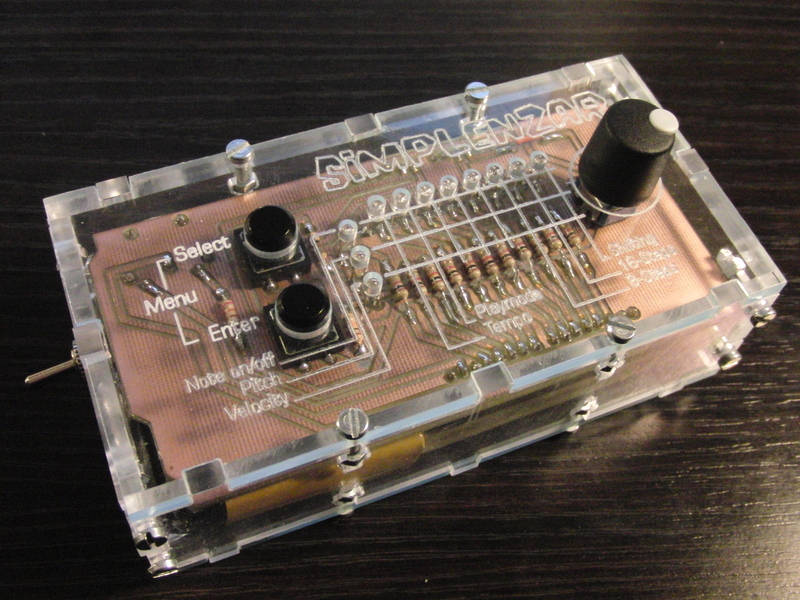 I milled a Acrylic enclosure and now have a very small simplenZAR to work with my MeeBlip. Dieser Beitrag wurde vor am Samstag, 26. Februar 2011 um 11:49 Uhr veröffentlicht und unter DIY, Music, Uncategorized gespeichert. Sie können Kommentare zu diesem Eintrag über den RSS-2.0-Feed verfolgen. Sie können einen Kommentar hinterlassen, Pingbacks/Trackbacks sind momentan deaktiviert.